I obviously love trying out things for this blog, even if it means getting out my comfort zone and doing something new, as long as it doesn’t involve bungee jumping or hopping out a plane and parachuting (though I’m not sure I could ever say no to a challenge when it’s presented to me, so let’s see). I’ve done some off-the-wall and very normal things for this site, but one of the most interesting campaigns has been from LG who asked me not to use my washing machine for six days. Instead, they asked me to hand wash my laundry, while mirroring their new machine, the Sapience’s, six motions of washing, every day. The new Sapience offers different washing motions to suit various washing duties, has special functions to clean stains and also includes the Jet Spray, which reduces water usage throughout the rinse cycle. The challenge seemed easy enough – six days of no machine washing, plus a bit of rubbing and soaping. Until I realised that the challenge started after I got back from a trip, and I had seven days’ worth of dirty stuff to start off with, plus no clean running underwear and clothes. Also, I read the LG brief properly – they wanted “sparkly” end results, not just clean-smelling clothes that had been soaked and then rinsed. On the upside, my four-year-old son’s clothes are still quite small, and his dirty clothes sitting in the laundry basket didn’t show signs of staining or heavy boy play. Shew. For the challenge, I got a bucket, and some Omo handwash soap, and Comfort fabric softener which I didn’t use because I was simply too exhausted for this step, and soft clothes were the least of my priorities after trying to get running clothes and underwear into my cupboard again. What they say: The Sapience Washing Machine spins and sprays laundry for a more thorough clean which helps with soaking the laundry faster and more evenly. 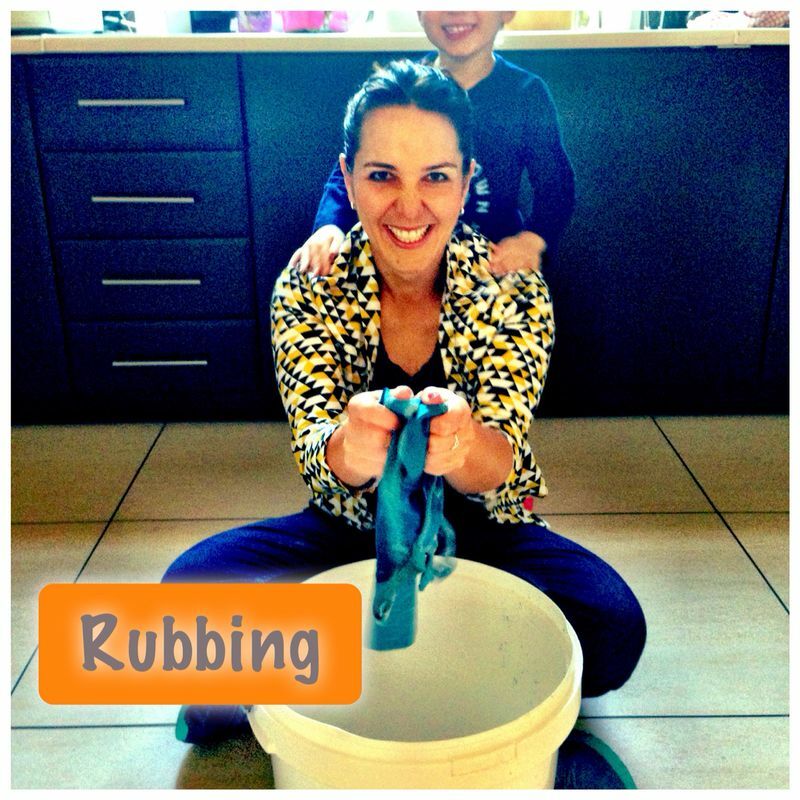 My motion: This was pretty easy – I filled the bucket with water and soap, and shook it all around a bit. What they say: The Sapience Washing Machine minimises creasing by using the LG 6 motion to rotate and compressing motion. My motion: If stomping can work to press grapes, it can surely work to compress clothes, right? Well, it might have given my active son something and meaningful to do, but whether it resulted in less creased clothes later on, is doubtful. 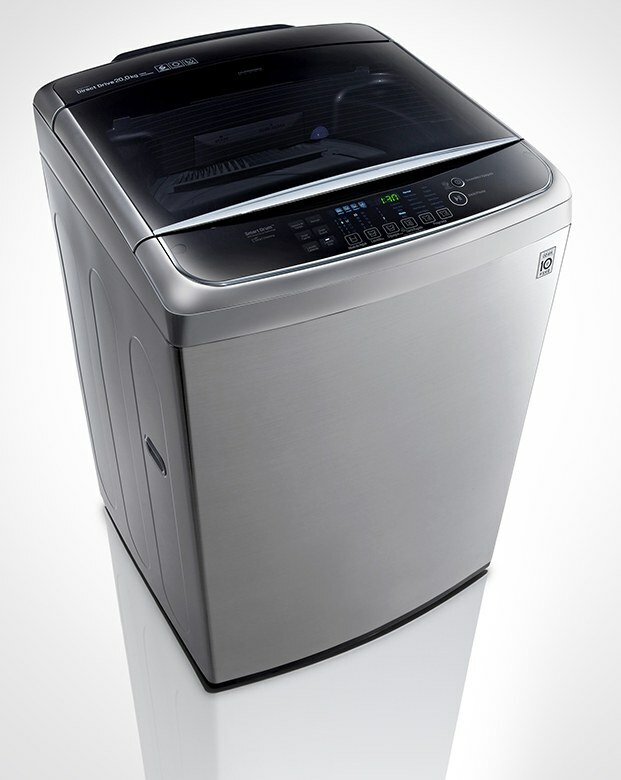 What they say: The Sapience Washing Machine silently washes while laundry is rolled below the water level and creates a more frictional motion with the inner drum gently getting rid of tough germs and stains. My motion: Again, this was something fun to do with my son, kind of like tug of war. Did it get rid of tough germs and stains? I doubt it. My motion might have only stretched my clothes though. What they say: The Sapience Washing Machine effectively and forcefully cleans laundry for an effective wash.
My motion: This is where the fun ended, and it was down to real handwork, so to speak, and I see why they call this motion is called “agitation”. I agitated until my hands felt raw and my heartrate was elevated. What they say: This feature combines the rubbing of clothes as well as getting rid of tough stains effectively. At the same time it is kind to your fabrics. My motion: This motion involved as much elbow grease as the agitating one, and I’m not sure I was as kind to my fabrics as the machine would have been. I rubbed quite hard in the hope of achieving “sparkly” clothes. What they say: A heart shaped motion softly washes laundry below the water line from side to side and still gets rid of tough germs and stains. My motion: Tired after five motions of a hand wash, we decided to have fun with this and literally swung it. Did I think my version of swinging got rid of germs and stains? Not a chance. It only got rid of some pent-up giggles. My verdict: After one load with the six motions, plus rinsing, I was tired, and opted to go without clean clothes rather than go through the literal motions again. So what did I do? I simply scrounged around for old badly fitting sports bras, I wore mismatched running socks, shirts with holes, and work underwear only reserved for special occasions. I figured this was indeed a special occasion – one where I opted to save on time and effort. Since the weather turned a little colder, my son didn’t need all his clothes in the laundry. Obviously the challenge would have been easier with a simply wet, rub and rinse, but the point wasn’t to do “average”, but rather “awesome”. I’m afraid I failed on “sparkly”, but scored highly on fairly bright yet crinkly. For my sweat and accelerated heart rate, I’ll be trying out the LG Sapience within the next few weeks. I plan to sit on my bucket, and watch something else go through the motions, while sipping on a cappuccino. Or some bubbly. Shuddle – a service like Uber for your kids, available in US. Would you use something like it?